If you are being pressured by your landlord to organise a full scale end of tenancy cleaning for the rental you are moving out of, but they want you to do so on a very short notice, or the landlord happens to have an excessive amount of cleaning requirements that must be met before they can let go of your rental deposit then perhaps you should contact Go Tenancy Cleaning Canning Town and let us deal with the situation for you. We know how to deal with picky landlords or demanding rental agents, who are just looking for an excuse to retain your rental deposit, and we know what they require of a professional grade end of tenancy cleaning. With us, you can be sure that your end of tenancy cleaning requirements will be met accordingly, and nothing will be left to chance. 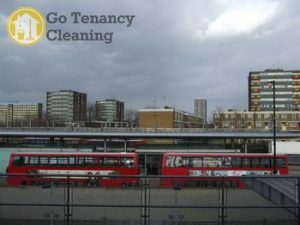 Go Tenancy Cleaning Canning Town has been a part of the professional cleaning industry for a while therefore we will not be caught out or scared off by overly demanding landlords or mile long cleaning checklists. We have seen it all, and we have done it all. Our customers can rely on us for the most efficient and affordable end of tenancy cleaning available right now. We will not shy away from cleaning even the most neglected properties, or the dirtiest of rooms. We work with dedicated, highly skilled professional cleaners, who have the skills and expertise to yield outstanding cleaning results with no risk of damage to delicate surfaces or materials. Your landlord has left you a thousand-item cleaning checklist to be completed? No worries, our diligent and well organised cleaning teams will crunch through the chores like they were a piece of peanut pie, and have everything completed within the specified amount of time. You can be sure of immaculate hygiene and exceptional cleaning results across the property. More so, we know how picky landlords can be when it comes to the kitchen and the wet rooms, therefore we will have these heavy-duty areas spanking clean and ready for inspection. The cleaners will descale, disinfect, clean and polish every tiled or glass surface, all features and fixtures, as well as toilet bowls, sink basins, bath tubs and anything else present in there to an industry standard finish, using highly effective, professional grade cleaning equipment and materials, and industry certified cleaning products.